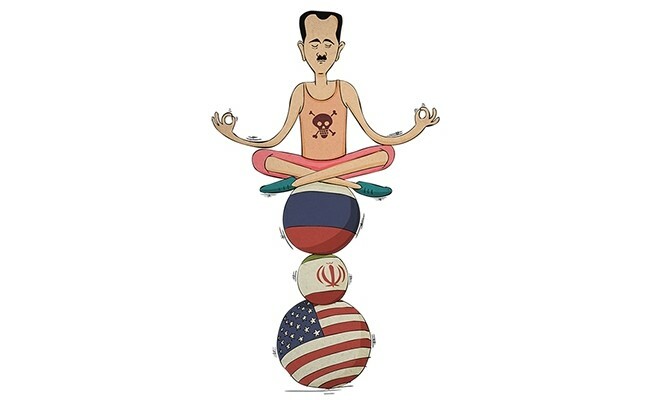 No doubt, de-escalation of the war in Syria is a tough and painful process requiring wisdom, compromise and patience. It has been launched, and this alone is a big success. The launch was done by an alliance between Turkey, Russia and Iran, a brave triumvirate of next-to-unusual partners that brought to life the Astana process for a peace settlement in Syria and assumed the mission of its guarantors. In less than a year, the Astana process has become a pillar for a peace settlement in Syria and "has largely contributed to reanimating the Geneva peace talks that were kept frozen for nearly nine months," as Russian Foreign Minister Sergey Lavrov said last July in the Aug. 14-15 talks in Astana. Today, the Astana process results are apparent, and its best accomplishment is the four de-escalation zones in Syria established within its framework. A Kremlin press release from Sept. 25 says: "The Syrian de-escalation zones give an opening for putting an end to the civil war in the country and for a political settlement of the crisis based on respect for Syrian sovereignty and territorial integrity." The Astana talks sixth round was held on Aug. 14-15 with the participation of the three guarantor states, representatives of Bashar Assad's regime and certain warring opposition groups, as well as Staffan de Mistura, the U.N. special envoy for Syria, and observers from Jordan, the U.S. and for the first time, Qatar. The meeting produced the expected and much desired result of a de-escalation zone in Idlib Province, the last and most difficult of the four. The agreement reached on Idlib completes what was started on May 4 in Astana by signing the Memorandum on De-escalation Zones in Syria. Turkey, Russia, Iran, the regime and certain factions of the armed opposition agreed to three de-escalation zones in Deraa and Quneitra in the south of the country, in the opposition enclave of Eastern Ghouta near Damascus and in the Homs province in the center that started functioning immediately, while it took the fourth zone in Idlib a while to take shape. In a joint statement released concerning the Aug. 14-15 meeting results, the parties made public their agreement to allocate forces to patrol the zone covering opposition-held Idlib province and parts of the neighboring Latakia, Hama and Aleppo regions. According to Russian officials, Russia, Iran and Turkey could each send 500 monitors to the Idlib province. A separate statement from the Turkish Foreign Ministry also announced: "Monitors from the three states will be deployed at checkpoints to be established in the de-escalation zones to draw their borders. Their principal task will be to prevent the outbreaks of potential hostilities between regime and opposition forces and monitoring cease-fire violations. The monitors' activities will be coordinated by the Joint Coordination Center to be established by the three guarantor states." The final agreement reached on the Idlib zone in Astana may "strike a turning point" for reconciliation in Syria by providing an opening to a political settlement, Russian representative at the Astana talks Alexander Lavrentiev has said. This is a remarkable development, although it will not end the war in Syria once and for all; yet, hostilities in Idlib again look to have sharply intensified after the talks ended. In disregard of the agreements signed in Astana on Sept. 19, certain terrorist groups attacked regime forces and Russian special forces positions to the north of Hama, making a nearly 20-kilometer advance into the de-escalation zone and a temporary blockade of Russian military police. The attack was repelled, and the regime army restored positions, while the Russian military police were rescued without casualties. This unfortunate incident has made it apparent once again how delicate and fragile the ceasefire is and how much effort it requires from the guarantor parties. The situation has prompted President Recep Tayyip Erdoğan to admit, "The task is not easy. We will discuss additional steps needed to be taken to eradicate terrorists once and for all to restore peace with [Russian President Vladimir] Putin," adding that "under the agreement, Russians are maintaining security outside Idlib, and Turkey will maintain security inside the Idlib region." In an interview with Reuters while attending the U.N. General Assembly's 72nd session in New York, Erdoğan shared his plans "to discuss the de-escalation zones agreed to in Astana with President Putin in Ankara next week." According to the Kremlin's communications officials, the leaders plan to "continue an in-depth discussion of the matters on bilateral and regional agendas in the course of their working meeting in Ankara on Sept. 28. "Resolution of the Syrian conflictIt is true that the war in Syria is not over yet, but an end to the years-long military hostilities is in the air, and the issues of reconciliation are on the agenda. "It's time to start a political settlement process," said Sylvie Bermann, the French ambassador to Moscow, on Sept. 16, voicing her country's initiative to establish a contact group on the situation in Syria under U.N. auspices, explaining, "The issue of the contact group and its format will be discussed by the five permanent members of the U.N. Security Council next week in New York." France recently modified its stand on the Syrian war by shifting its main accent to fighting terrorism and softening its position on removing Bashar Assad from power. A piece in the Le Monde daily says: "The war is not over by far yet, but in the current situation Bashar Assad can't lose it anymore." Assisting in building political stability in Syria attracts increasing global attention, although approaches differ. While ready to support reconciliation of Syria, the U.S. stands for the removal of Assad as a basic prerequisite for a settlement to the war in Syrian. According to U.S. Ambassador to the U.N. Nikki Haley, the U.S. will not stop until it restores stability in Syria with no place for Assad. Turkey's intense exposure to the fighting in Syria has led to interactions with various warring groups and their field commanders to eventually allow them to sit at the negotiating table in Astana. "During the negotiation process regarding the Idlib de-escalation zone, Turkey, as the guarantor of the opposition, played a decisive role in the implementation of the Memorandum [on de-escalation zones] by taking into consideration the approaches and assessments of the opposition groups on the ground," a Turkish Foreign Ministry statement issued on the results of the Aug. 14-15 talks in Astana says. As a guarantor of the Astana process, Turkey is bound to play a major role in the post-war reconciliation of the country to restore peace and stability and ensure a better life for all Syrians. Russia is a longtime ally of the Assad regime. It stepped into the multi-front conflict in Syria in September 2015 on a request from the Assad regime and in line with its obligations stemming from the Russian-Syrian Friendship and Co-operation Agreement from the 1970s. Russia has since provided air support for the regime while including its special forces in the regime's ground operations. Russian engagement has shifted the balance of power in favor of regime forces and has virtually saved the regime from ultimate collapse. Its combat operations in Syria proceed in close contact with Turkey, and the countries' military interactions continue to intensify since their leaders amicably resolved the jet-downing crisis from November 2015. Unlike Turkey, Russia continuously supports Assad staying in power. It also believes in the legitimate right of the people of Syria to choose the national government without external help. A successful tripartite allianceConsidered by certain external observers as unexpected and far from viable, the alliance between Turkey, Russia and Iran has proven itself to be work well, injecting needed dynamics into the Syrian peace process. In the last days of December 2016, it created the grounds for the launch of the Astana process that shortly became a great contributor to the Geneva peace talks and an instrumental tool for de-escalation of the war in Syrian. The process received a promising launch in January 2017 in Astana when Turkey, Russia and Iran succeeded in bringing together the regime and the opposition. For the first time during the war, the U.N. launched talks on peaceful settlement in Syria, and the people with real power got together under the same roof and started communicating with each other to produce a meaningful result. Since then, the Astana process has continued to advance slowly but surely. As of now, its most tangible and desired result is the agreement on stability zones in Syria bearing a potential to create further ground for proceeding to the next stage of the resolution of the war in Syria – a political one.